The Catholic Church holds marriage to be an indissoluble partnership between one man and one woman in mutual and lasting fidelity, open to the possibility of bringing children into the world. 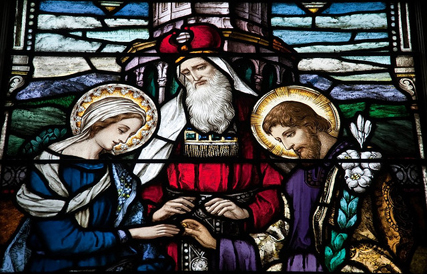 Yet, marriage is more than a natural institution; it was elevated by Christ Himself, in His participation in the wedding at Cana (John 2:1-11), to be one of the seven sacraments. A marriage between two Christians, therefore, has a supernatural element as well as a natural one. Indeed, the Christian marriage is a holy covenant between a man and a woman which mirrors the relationship of Christ and His Church. The seriousness of this commitment means that the Church takes care to ensure those presenting themselves for marriage are suitably prepared. If you are interested in getting married at Our Lady & St George's Church, you will need to make an appointment with one of the priests at least six months in advance of your proposed wedding date. The priest will need some time to get to know you, to make sure you understand the meaning and obligations of marriage, and to help you plan the service so as to make one of the most important days of your lives as good as it can be. You can elect to have a Nuptial Mass, or a wedding service with or without Holy Communion, and the priest will help you determine which is best. There are also choices of scripture readings and hymns. Please note that only sacred music may be played at weddings.